Anywhere else in the world this would not be tolerated. But this is is the Philippines. 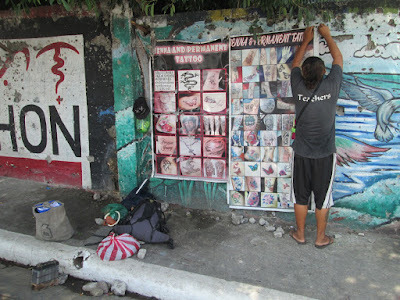 In the Philippines you can set up a business of any kind anywhere on a sidewalk and no one bats an eye. 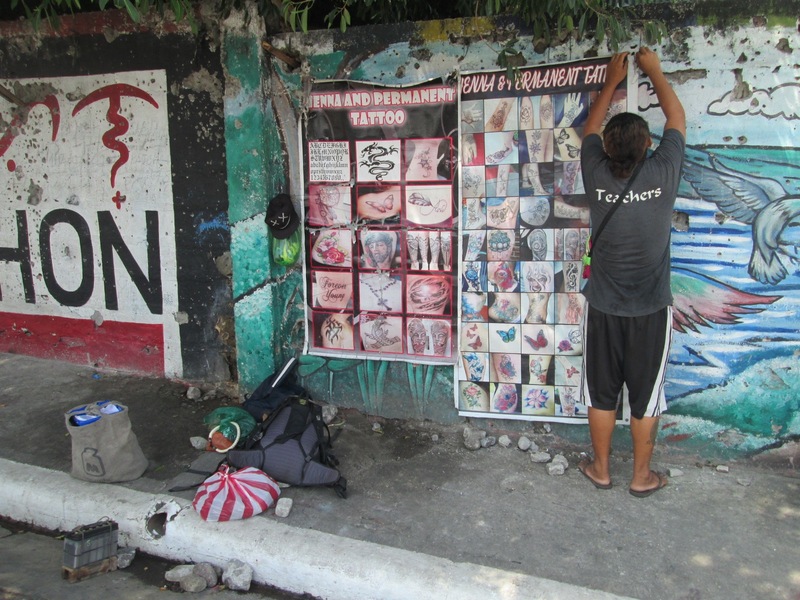 You can even set up your own unregulated, unlicensed, and unsanitary tattoo parlour! Who in their right mind would risk their health by getting a tattoo from some dude on the sidewalk? Look at that little battery which powers his needle. So cute! No way that poster is indicative of his talent. It could be but I highly doubt it. Does he change needles? Are the needles clean? Is he going to set out a little chair or do you have to sit on the curb? It's simply insane that this is allowed. And the PNP station is right around the corner!